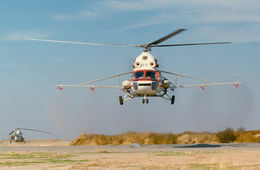 A result of decades of experience in the development of rotary atomisers for agricultural aircraft, the AU5000 atomiser has been precision engineered from proven chemical resistant materials and uses a rotating woven wire gauze cylinder to produce spray droplets. This technique ensures a narrow, controlled spectrum of droplet sizes for the most efficient and economical application of a wide range of chemicals at low spray volumes to maximise productivity and reduce costs. 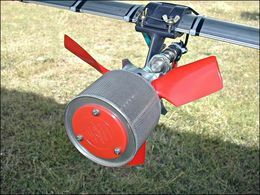 The atomiser is driven by the airflow from the aircraft by three highly efficient fan blades. These are adjustable in pitch, enabling the rotational speed to be varied as required. The size of the spray droplets is determined by the rotational speed of the gauze. The atomiser can therefore be set to produce the correct droplet size for a particular operation by a simple adjustment of the blade angle. With flow rates of up to 23 litres per minute, the same AU5000 installation to be used for a wide range of output rates from ultra low volume (ULV) to conventional application at 20 – 50 litres/hectare. 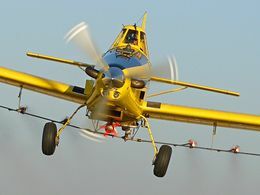 The light weight and low drag of AU5000 atomisers enables them to be fitted directly onto the standard spray booms of most agricultural aircraft without any structural modification. Alternatively, quick-change replacement boom kits are available for popular types of aircraft and special installation kits can be supplied for some non-agricultural types. Every atomiser is supplied with a complete installation kit including a mounting clamp with shock bushes for anti-vibration, diaphragm check valve and secondary valve for instantaneous shut-off, variable restrictor unit (VRU) for simple “dial-up” flow control and all necessary hoses and fittings. The flow to each atomiser is controlled by a variable restrictor unit (VRU). This provides finger-tip control of the flow by the simple turn of a knob and eliminates the need to dismantle or change individual restrictor orifices. 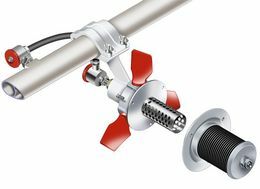 VRUs are supplied with fittings and adaptors for the standard nozzle outlets found on most booms. This eliminates the need for any special pipework or modification of the boom. 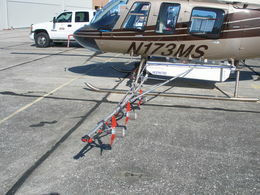 Overall flow from the aircraft is regulated by the boom pressure in exactly the same way as a conventional spray system. 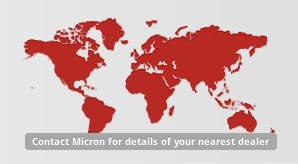 The optional Micronair Application Monitor gives the pilot an accurate display of the actual application rate. AU5000 atomisers are ideally suited for use on both fixed-wing aircraft and helicopters operating at speeds of 145 Km/Hr (90 MPH) and more. 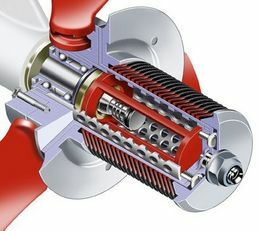 Special longer fan blades are supplied for speeds below 160 Km/Hr (100 MPH). The Micronair AU5000 can also be fitted with the LD (stacked disc) or LG (mini gauze) interchangeable atomiser assemblies that permit the use of larger spray droplets compared with the standard gauze.